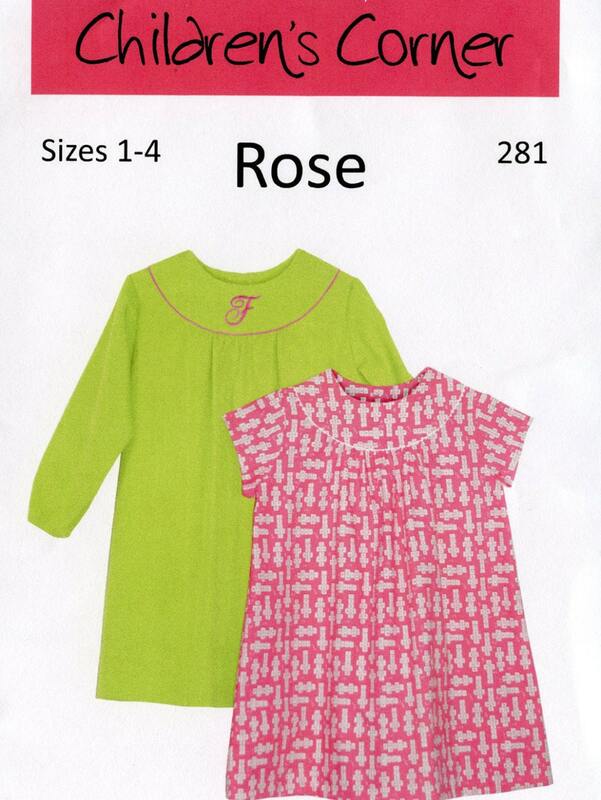 Rose is a dress featuring a round yoke that is perfect for monograms, cutwork or other embroidery. It has either short fitted sleeves edged with corded piping or long fitted sleeves finished with a casing and small elastic. The dress is softly gathered in front and is buttoned down the back with soft gathers on each side. 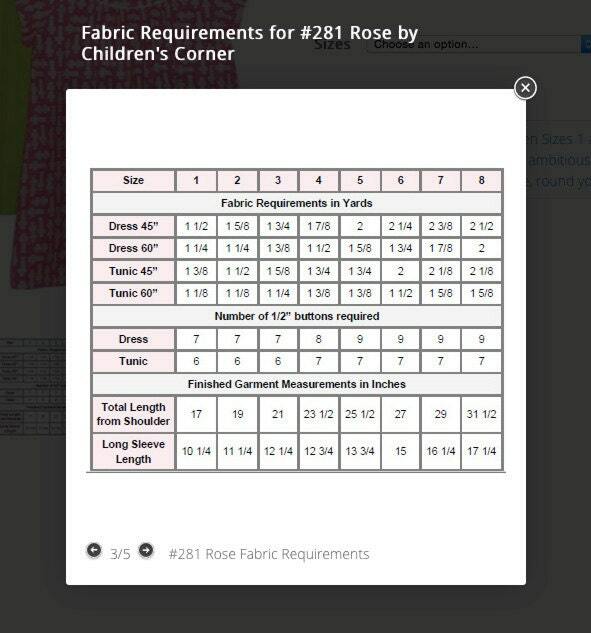 Rose may be shortened to tunic length. Dress may be made by serger if desired. Suggested fabrics include quilting cottons, lawns, corduroy and pique. Available in sizes 1-4 and 5-8. CC patterns aren’t stacked, making each size a separate piece. No tracing! 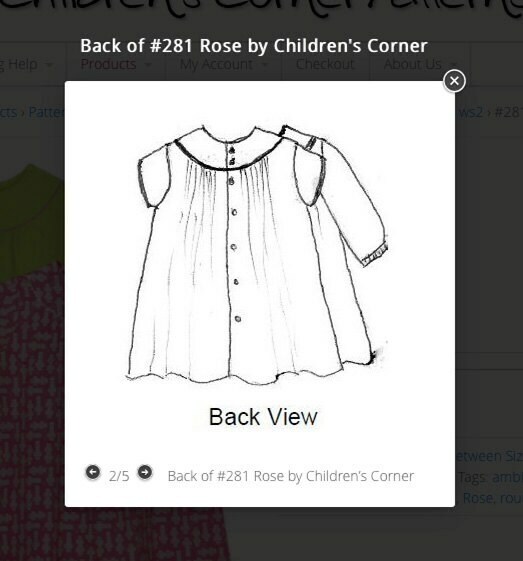 Collars and sleeves on many patterns are interchangeable, giving you more looks for less money! Thank you for the fast service.The pattern is just as described. I can't wait to make this up for my grandaughters!